Sometimes a member might join outside RiderHQ - for example turning up in person and paying their membership fee in cash or at an ePoS (electronic point of sale / PDQ machine) and possibly also filling in a paper membership form. It's easiest if you add these members into RiderHQ so that you have a single place to manage all your members. 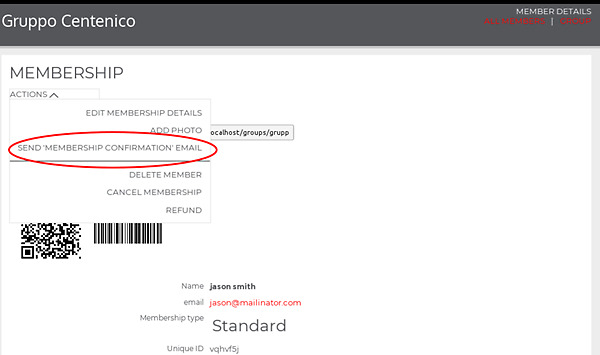 You might also want to record the payment transaction, so that you can include it in your accounts. 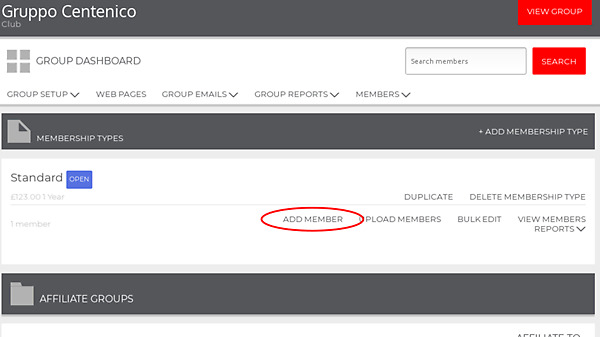 Finally, you might want to send a link to the new member so they can 'activate' their online membership account and gain access to the group areas and amend their details if necessary. Fill in as many details as you have (you can leave any questions except name blank if you need to, the stars just indicate which questions would be mandatory if the member were joining online). 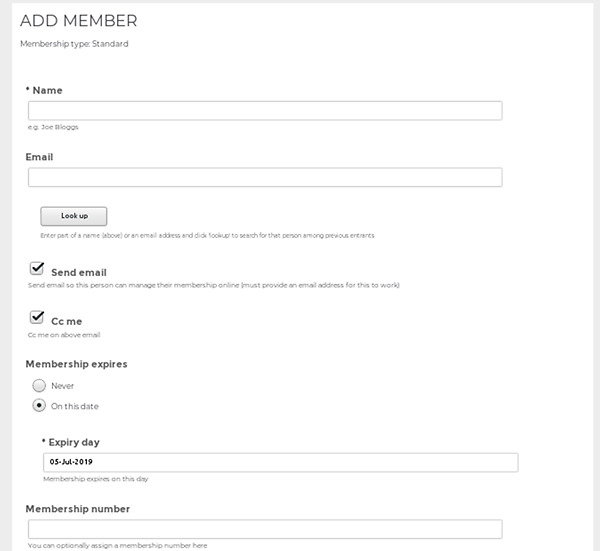 If you leave 'send email' ticked and provide an email address, we will send an 'activate your membership on RiderHQ' link to the new member for them to access to their membership directly.